Yesterday I did a spot of gardening whilst we have this spell of glorious weather. I had sown lupin and courgette seeds ages ago and hadn’t potted them on so I finally go around to it. 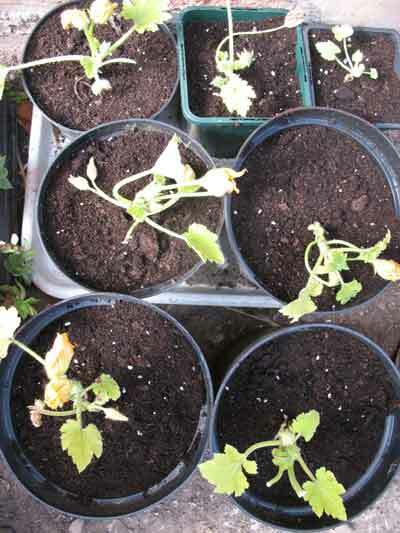 I now have 8 courgette plants in pots and when they get a little more established I will put them in a larger pot. I potted on about 40 lupin seedlings so I hope to have some lovely lupin plants to add to our garden and then some plants to sell at the farm gate once the lupin plants are well established. When I first moved to the farm I bought a lupin plant, which I have to say wasn’t cheap but at the time we didn’t have any guinea fowl or ducks that like to eat insects and snails and unfortunately my lupin plant was eaten by snails and slugs. Now that I have 28 guinea fowl and 7 ducks I am hoping that the snail and slug population has dramatically reduced so my lupin plants will be safe from nibbling insects! Why not get your plants and seeds from Thompson & Morgan. Click on the image to visit the Thompson & Morgan site. What flowers and vegetable plants have you been growing? Cool stuff! I could use this for my garden. Hi Nikkipolani, Thanks for dropping by. Yes the flowers are blooming on the courgette plants already so I’ll soon have lots of lovely courgettes. What herbs are you growing? I have never grown chillies but would like to have a go as I like sweet chilli sauce. Hurray for you and your seedlings! They are looking hearty. Are those blossoms on the courgette already? I’m growing some tomatoes, herbs, and chiles since I don’t have much space for courgette.